Nothing says Christmas quite like a festive hamper. They make great gifts for friends and family who, for one reason or another, deserve an extra special treat this year. 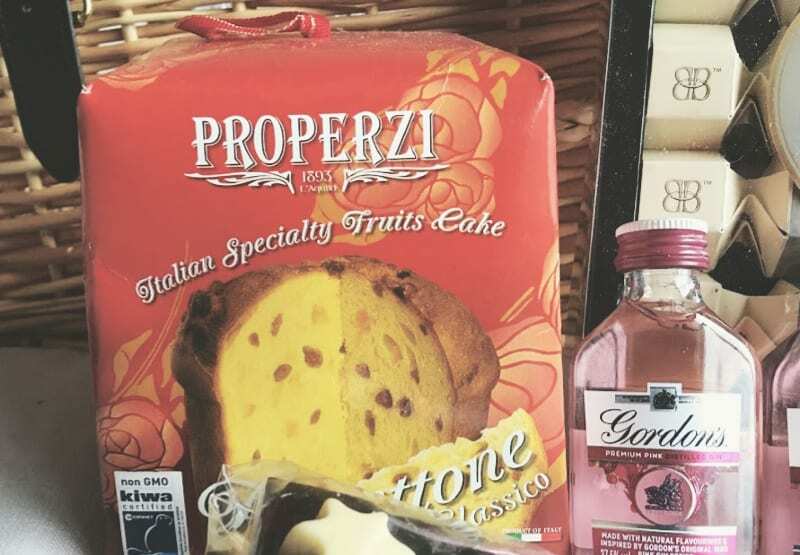 My friends at Prezzybox heard that we loved a good Christmas hamper, and they asked if we would take a look at their Personalised Festive Food & Drink Hamper to see what we thought. After taking a quick peek at the Christmas hamper online, I couldn’t wait to accept. 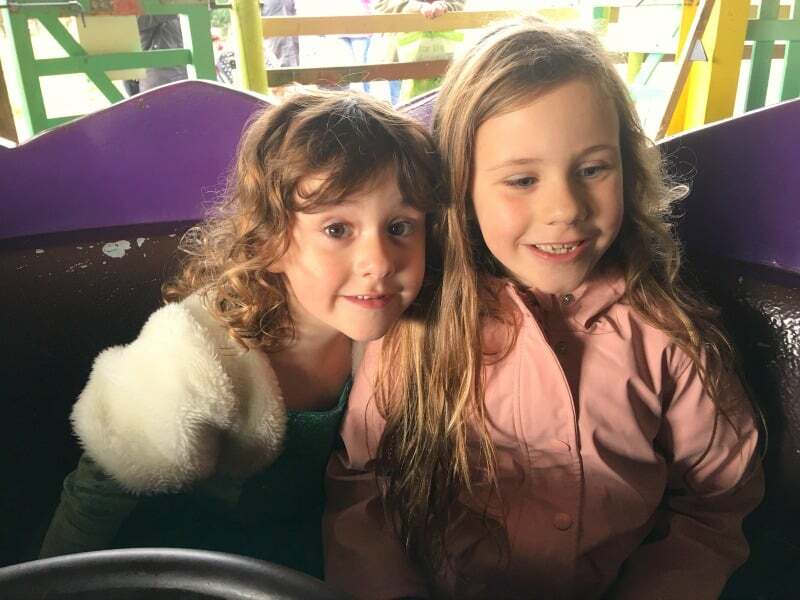 Their Christmas hamper looked like it ticked a lot of boxes and I was really excited to share my thoughts with you all. Well, it arrived the other day and I’m not in the least bit disappointed. If Santa had of left it under our Christmas tree, I would have been very happy lady I can tell you. 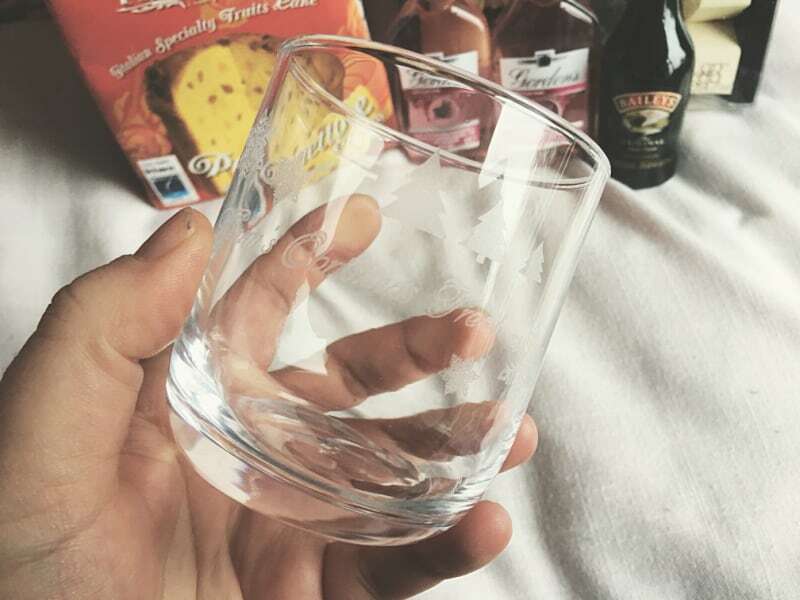 The thing I love most about the Personalised Festive Food & Drink Hamper from Prezzybox is that there is something in it for everyone. If you are looking to buy a gift for a family say, you can be rest assured that there is something in here for everyone. Christmas is the perfect time for cosy nights in and festive film nights, and the contents of this Christmas hamper will make them into a lovely special occasion. 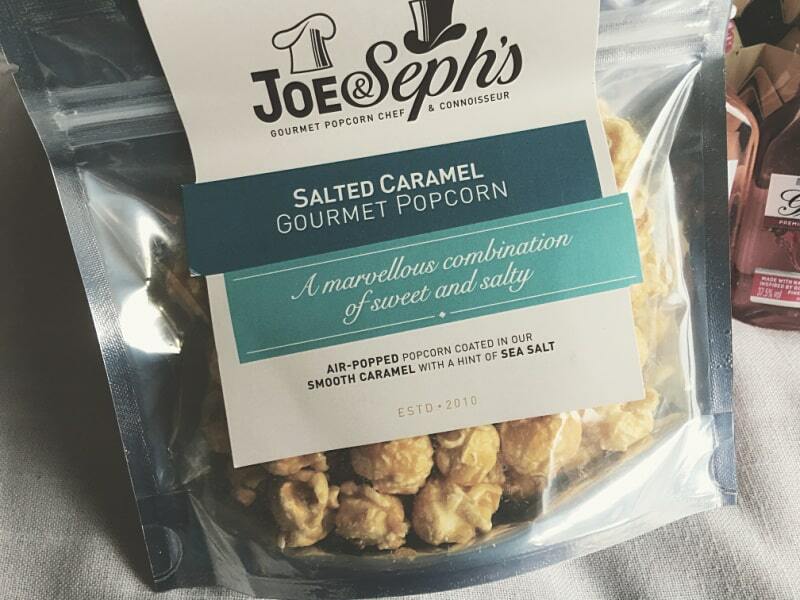 I think everyone will love watching their favourite Christmas film while tucking into some Jo and Seph’s Salted Caramel Gourmet Popcorn. 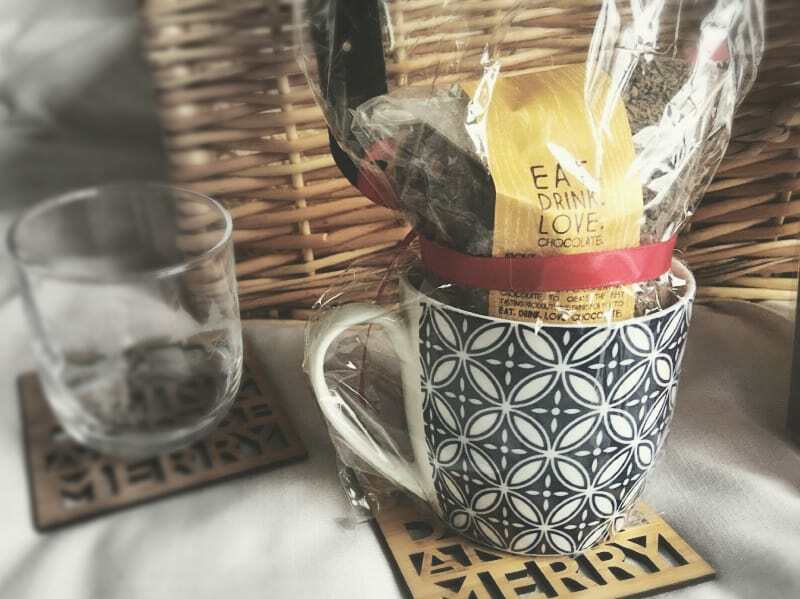 It would work exceptionally well with a mug of decadent Signature Drinking Chocolate from Cocoba, and there’s also a gorgeous porcelain mug inside the personalised hamper for it to go in as well. It really does seem like they have thought of everything. 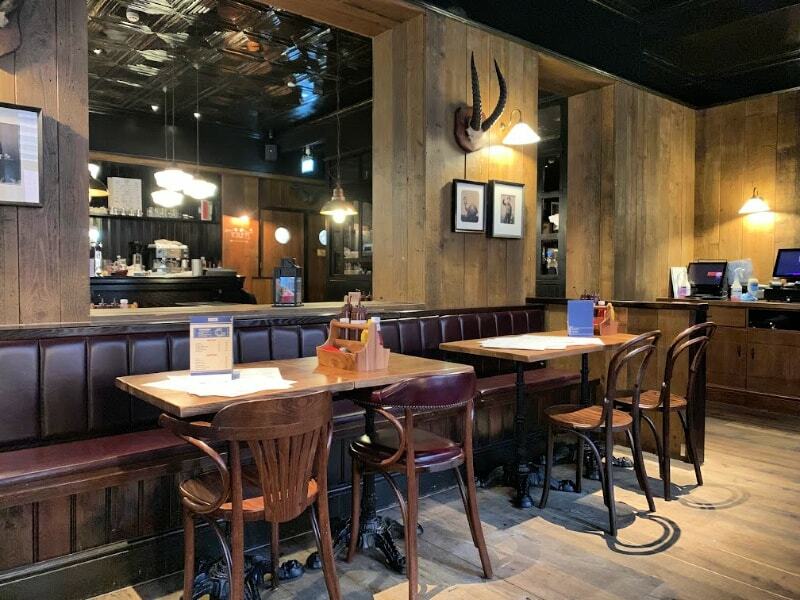 For some extra fun for the kids there is also a Milk Chocolate Spoon with Marshmallows for making hot chocolate, which would be the perfect warming treat after a Christmas day walk. 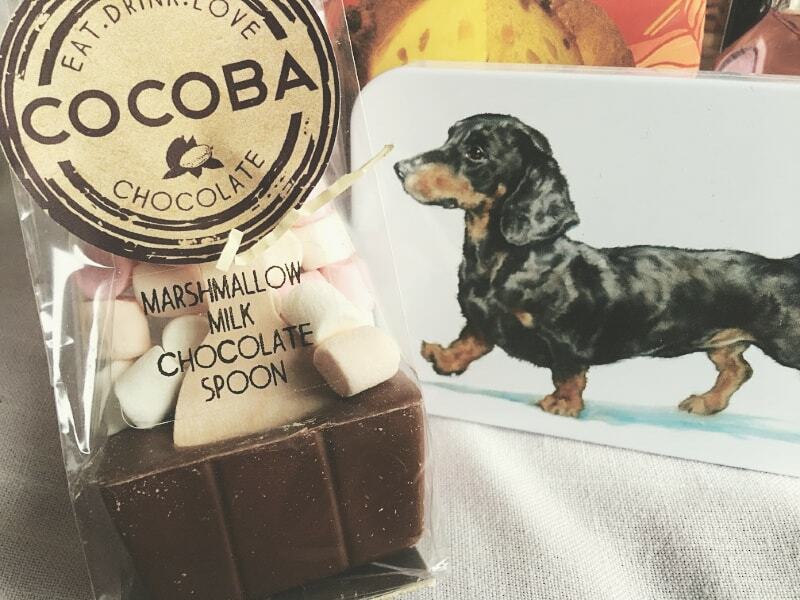 I also know who I think will love the adorable tin of vanilla fudge, check out that cute dachshund right there. 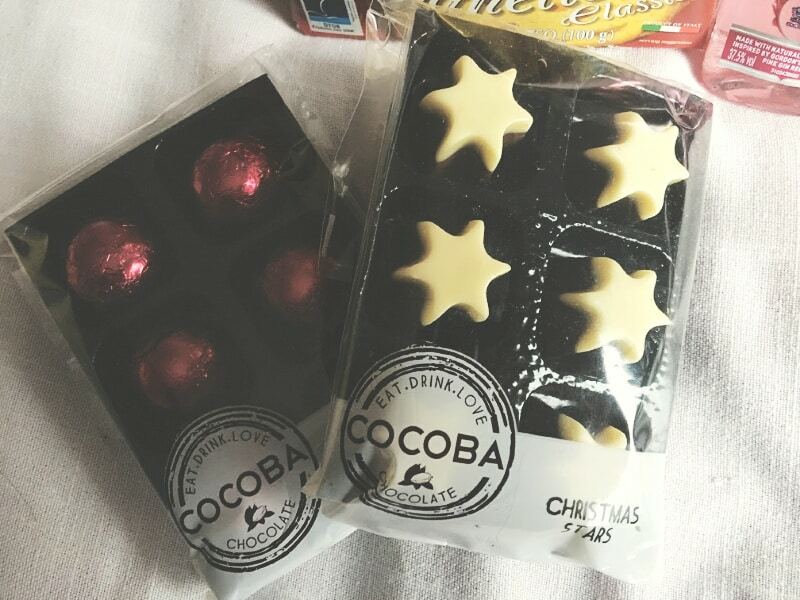 That’s not all when it comes to gorgeous treats, as there’s also Cocobar chocolate stars and for something a little more festive the Cocobar mulled wine chocolates. These might have to come out when the kids have gone to bed I think. Speaking of when the kids have gone to bed, there is a lovely range of alcoholic festive drinks in this hamper and some lovely personalised engraved glasses to enjoy them in. The kind people at Prezzybox added ‘Mum’s Christmas Treat’ & ‘Dad’s Christmas Treat’ to ours, but there is no character limit on the text so you can really go to town with this. 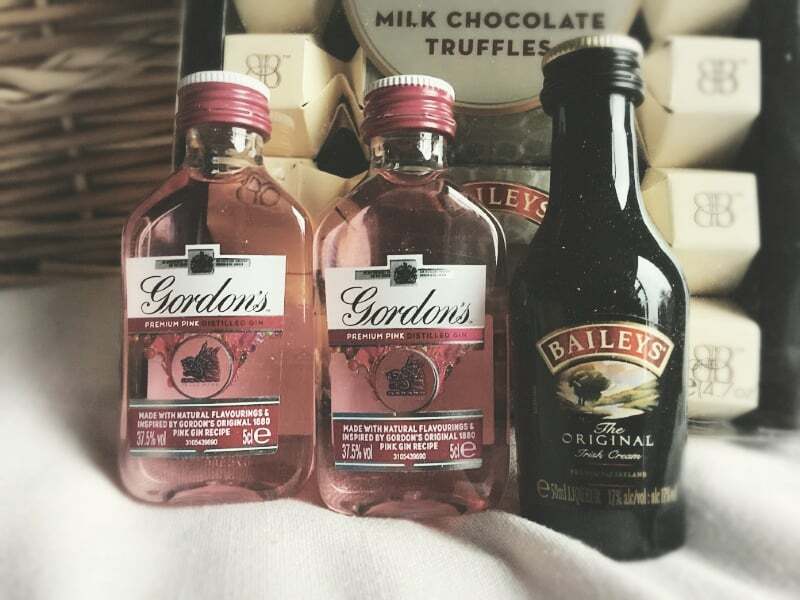 The Baileys miniature and the Gordon’s pink gin miniatures will be put aside for me. And I’m sure Daddy will be very quick to try the full size Lyme Bay Winery Christmas Mead when he sees it. We might be fighting over the Bottega Gold prosecco miniature which could be an issue. Well, it wouldn’t be Christmas without a little drama now would it. We can share the Italian Panatone and box of Baileys Chocolate Truffles though, because I’m kind like that. And what’s even better is that’s not all! 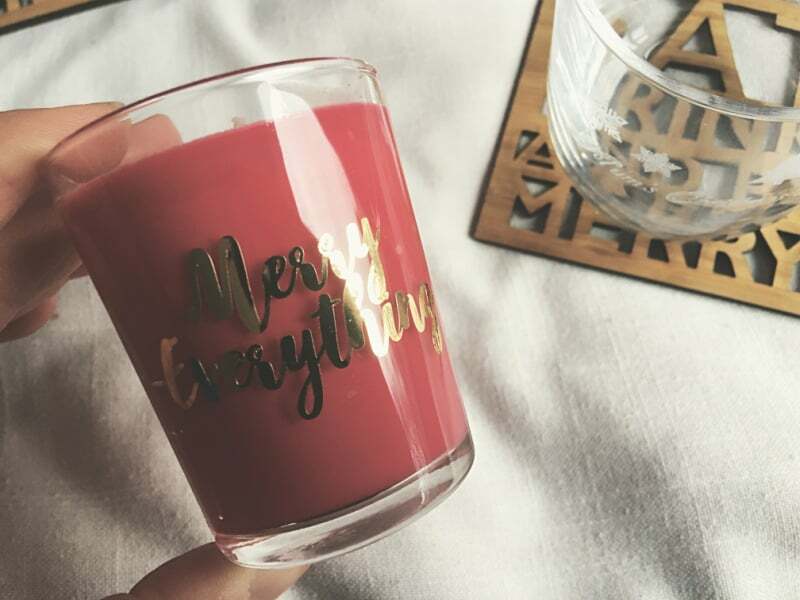 As well as all the lovely food and drink for the whole family there’s a lovely festive scented candle, embossed with Merry Christmas and two gorgeous carved wooden coaters with the words ‘Eat Drink and Be Merry’ on. 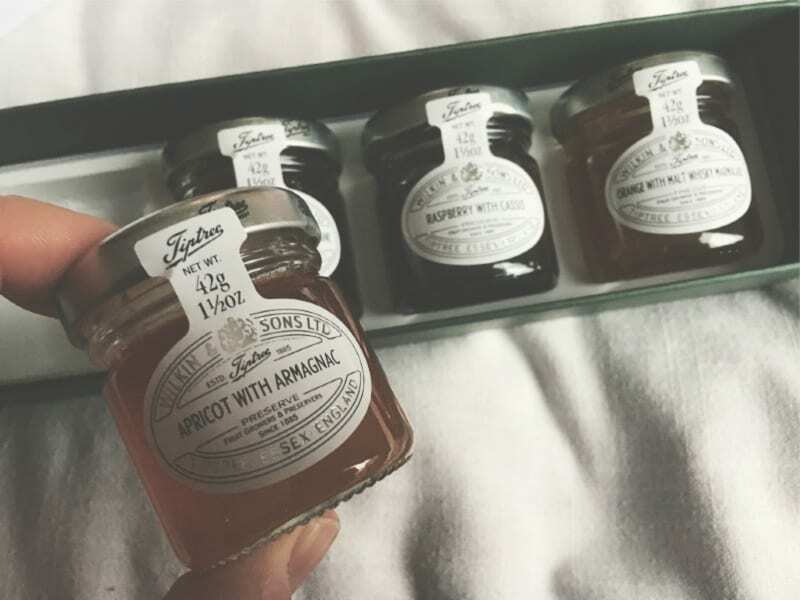 And for anyone who likes something a little extra special on their croissants at Christmas there is also a lovely box of 4 Tiptree miniature preserves including apricot with armagnac and raspberry with cassis. This Personalised Festive Food & Drink Hamper is literally packed with lots of Christmas loveliness and the thing I adore the most about it is everyone in our family can enjoy something from it. I think that would be the case for lots of other families too. We have been lucky enough to have been gifted this Christmas hamper by Prezzybox and I can honestly say we are going to enjoy all of it’s contents throughout the festive season and beyond. 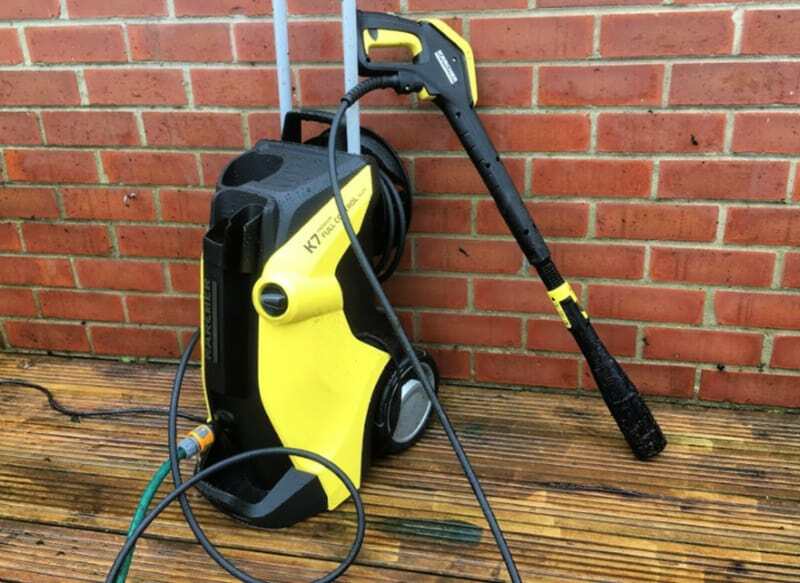 If any of our friends or family had have sent us this as a family Christmas gift, we would have enjoyed it equally as much. If you have been searching for a Christmas hamper, and this version looks like it ticks all the right boxes for you, I’ve got some excellent news for you today. Prezzybox are giving Zena’s Suitcase readers an exclusive discount code to receive 10% off. If you want to take a look at the Personalised Festive Food & Drink Hamper on Prezzybox (the video is lovely by the way) and enter the discount code HAMPER10 you can get your hands on this lovely hamper for £156.99 (full price £170). We were provided with the Personalised Festive Food & Drink Hamper for the purposes of this review, but all thoughts and opinions are our own.